If you have a single domain Domain Validation certificate and shared hosting with Namecheap, we encourage you to install your certificate using our two-click cPanel SSL Plugin. If your certificate or hosting package is not supported by our cPanel plugin, but you still wish to perform the installation yourself, you may find useful these articles for CSR generation and SSL installation. In case for some reason you do not want to do the installation yourself, or you messed up, refer to the instructions below. 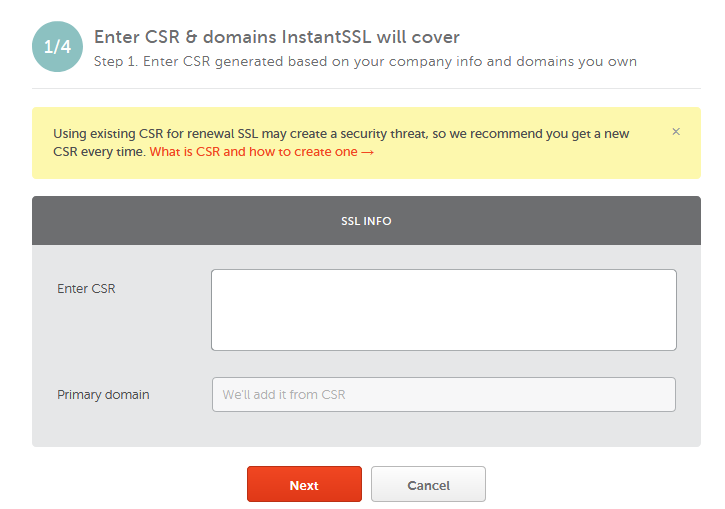 Note: If you have a reseller server and need to install the certificate for your customer’s website, you can generate the CSR code on your side in cPanel or WHM using the option SSL/TLS manager > Generate Certificate Signing Request. You might also submit a ticket to us for CSR generation. 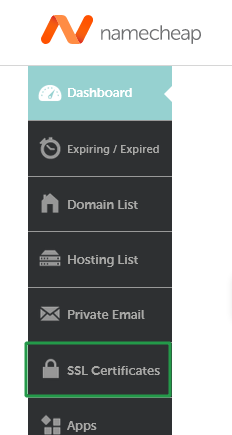 Since Reseller hosting requires special rights to access any account, we are not able to install the certificate for you on a Reseller server in Live Chat. The CSR generation and certificate installation in this case can be done in a ticket only. Purchase certificate from us. You can purchase a certificate from any other certificate provider as well. If you choose to use a certificate from another provider, you will need to contact them for assistance on activation and issuance of your certificate. After that, we will need the validated certificate in the PEM format for the installation. On the next step, please put the email address we should send the certificate to. 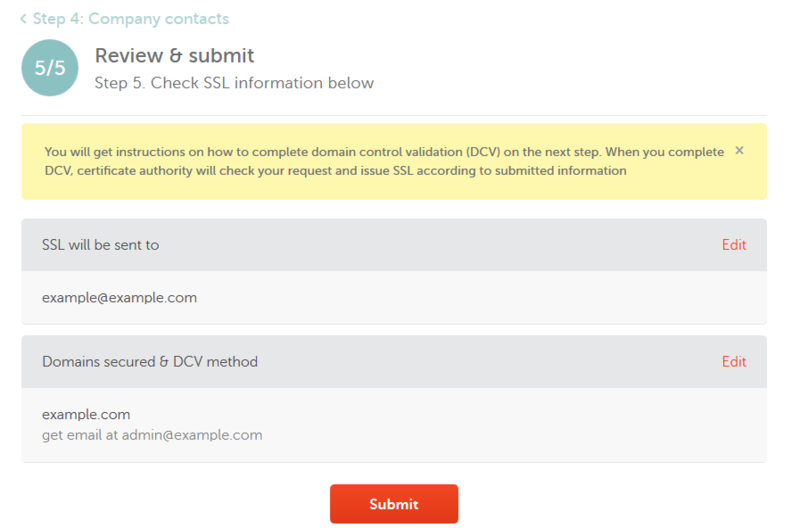 Click "Submit" to confirm the domain control validation method and submit the order. Approve the certificate issuance. If you chose Email validation, an approver email is to be delivered to a chosen approver address shortly after you finish the activation process. If you do not receive an email within 2 hours, please refer to the instructions provided in the What should I do if approval email was not delivered? article. When you confirm the issuance by following the link in the approver email, you should receive a signed certificate to the administrative email address you indicated during activation. For HTTP-based validation, you need to upload a text file into into a particular directory of your website (/.well-known/pki-validation/). If the domain is the primary one in your cPanel account, the document root is usually the public_html folder. The validation file can be downloaded from the page with the certificate details after it was activated. Refer to this guide for instructions on how the file can be uploaded to your website. In case of DNS-based validation, you need to create a certain CNAME record in the DNS Zone Editor of your cPanel account. The record can be retrieved on the certificate details page after the certificate activation. The order processing by a Certification Authority may take about 2 hours. If the certificate is not delivered within 2 hours, please review the I have not received my SSL certificate troubleshooter for help. You may also want to request a dedicated IP address. 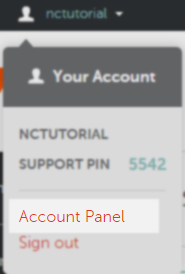 You have a possibility to install your SSL certificate on a shared IP address thanks to the SNI technology available with the cPanel control panel. Please pay attention that there are a few issues that may occur. Check the article and if SNI works for you, we will install an SSL without ordering a dedicated IP address. If you would like to get the SSL certificate installed on the dedicated IP address - let us know by mentioning your decision in the ticket. A dedicated IP address costs $2/per month. For your convenience, the billing period for your dedicated IP address will be adjusted to the one your hosting package has, and the invoice for the prorated difference will be issued. To request a dedicated IP address, you will need to submit a ticket to our Billing Department. Our staff will send you the invoice and once paid, they will assign a dedicated IP address to your hosting account. Provide us with the certificate that you received or downloaded in your account and we will install it on the server via the ticket where you originally requested your CSR from us. In order to make https:// version of the website a default one, set up an automated redirect from http:// to https://. Here is the guide on how to force https:// redirect for the website using the ".htaccess" file in "File manager" section in cPanel.